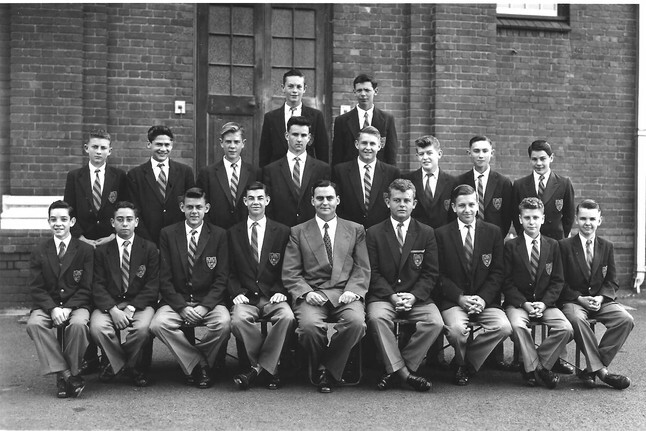 Below is an almost complete set of of photographs of all our forms from 1958-1961. 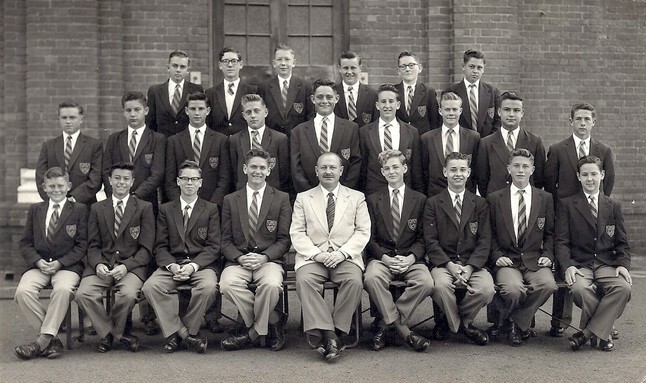 We think we are missing only 4 GB from 1959. 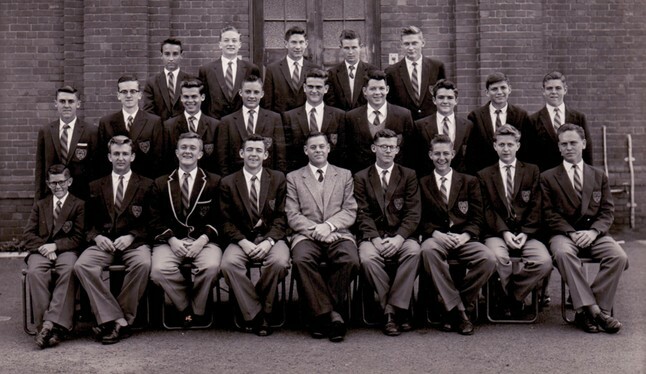 Please let us know if you have a copy of this photograph, and send us a scan if you can. 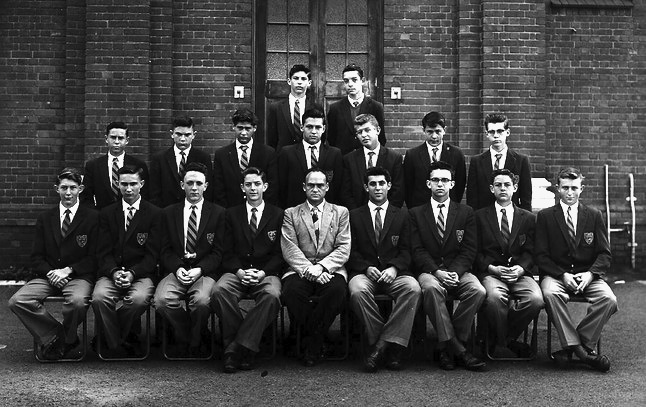 Also, the quality of our existing photographs varies (especially 4 LG and 6 GA), so if you can provide better scans, please let us have them too. 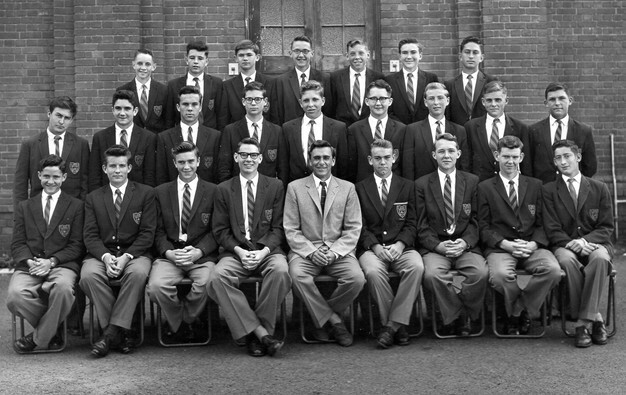 And please let us know of any errors in form titles -- after half a century, those GBs and LGs and AMs begin to blur somewhat! 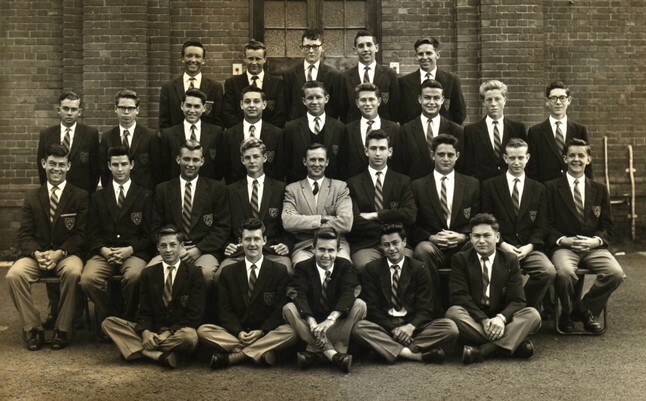 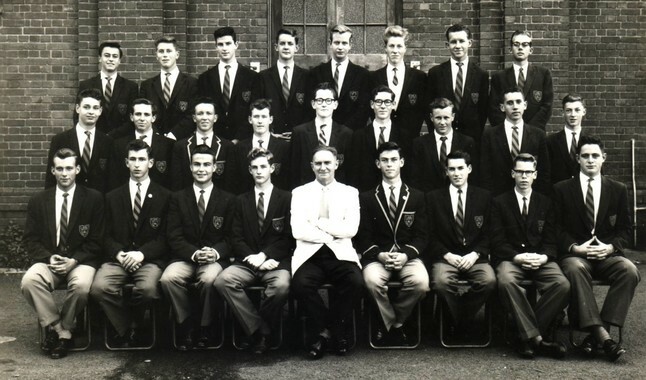 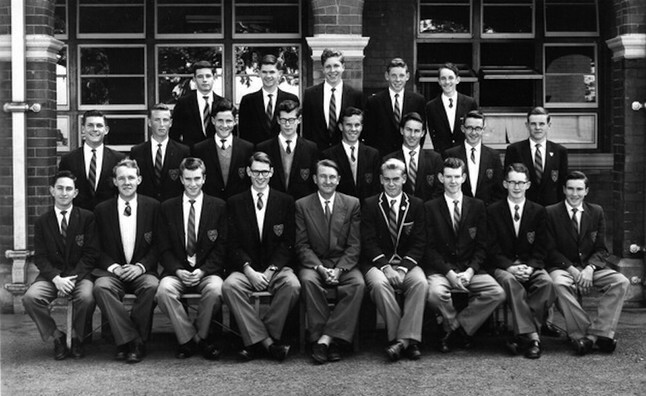 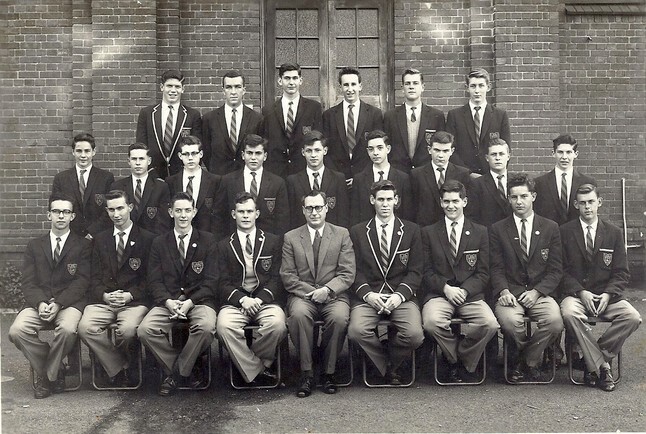 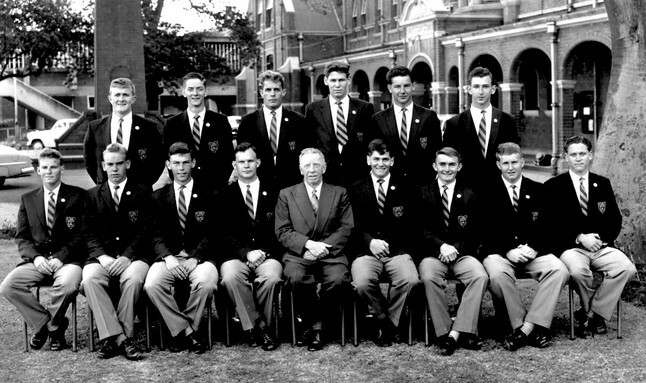 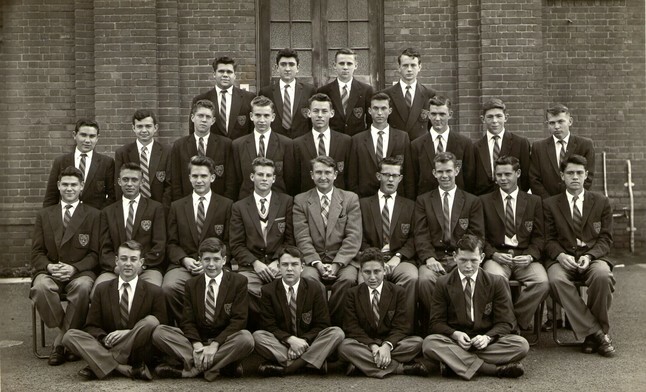 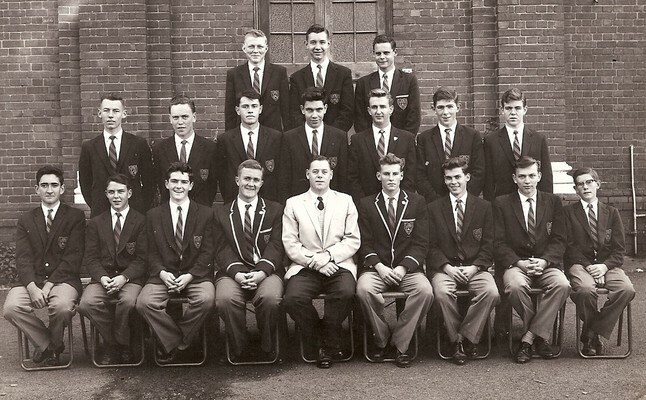 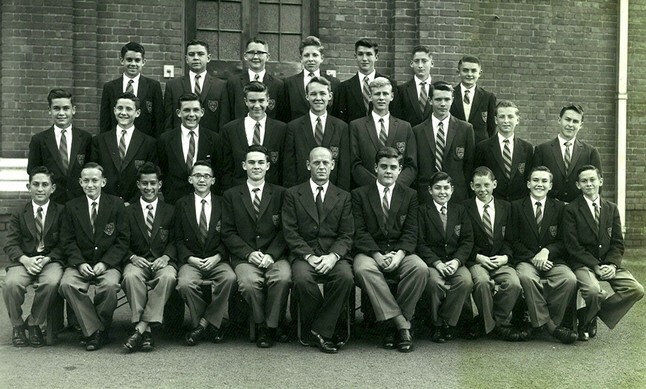 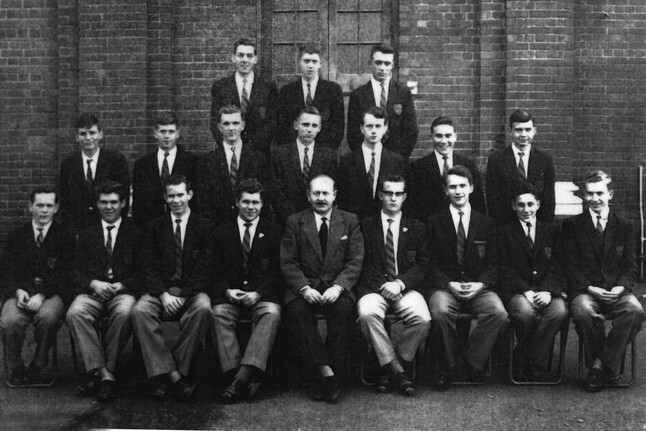 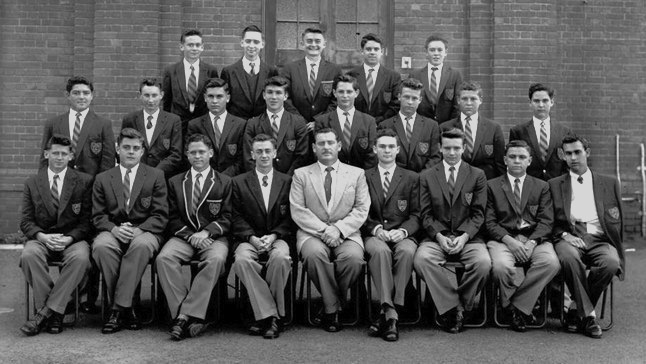 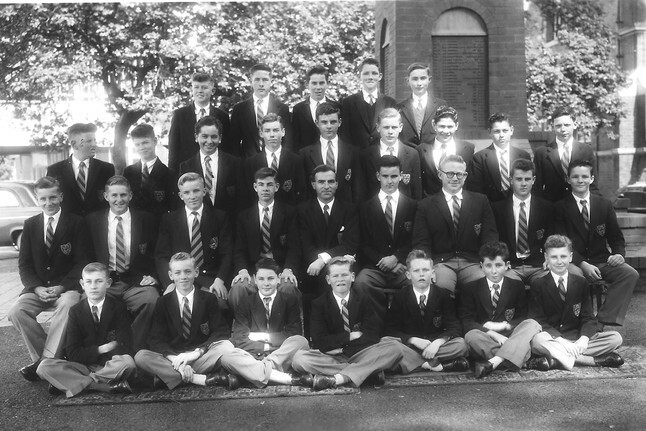 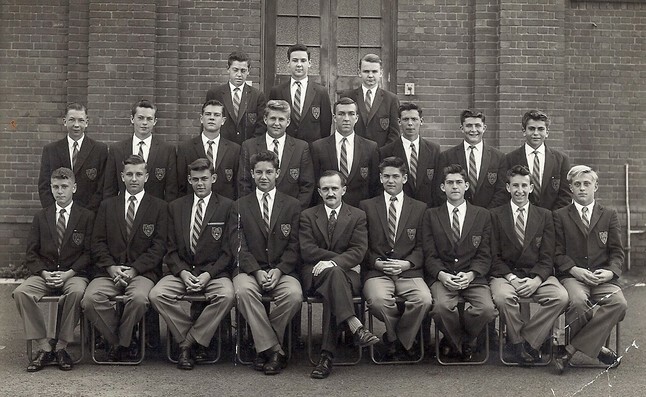 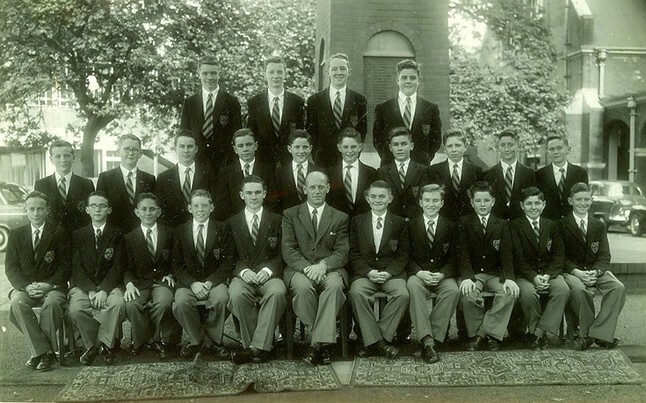 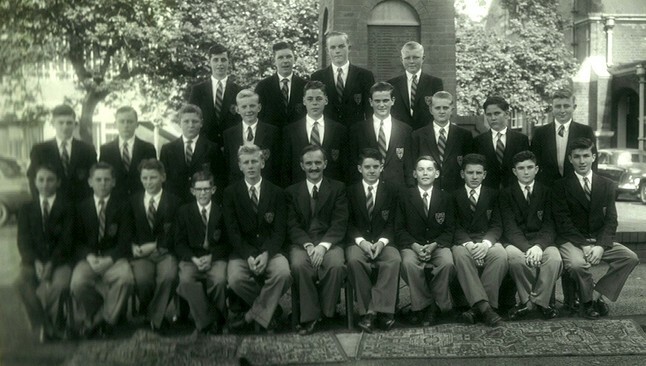 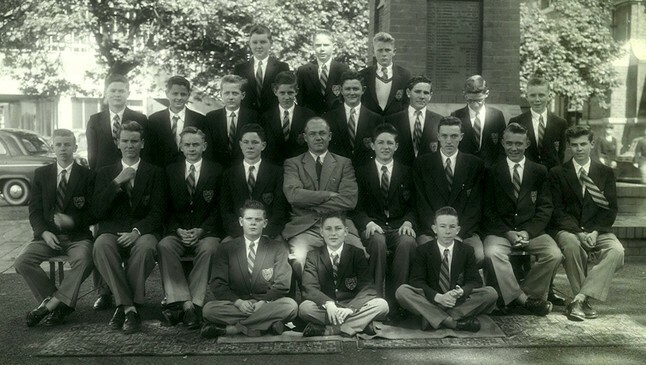 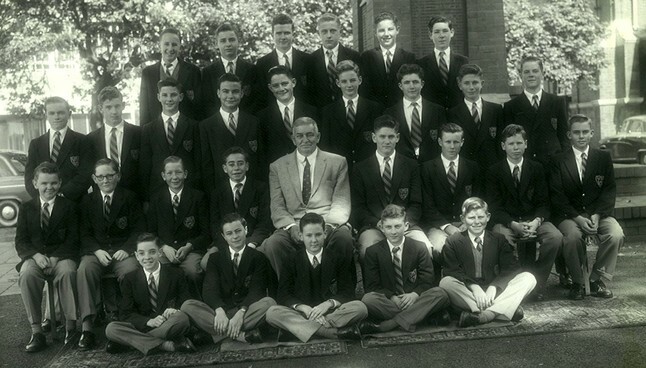 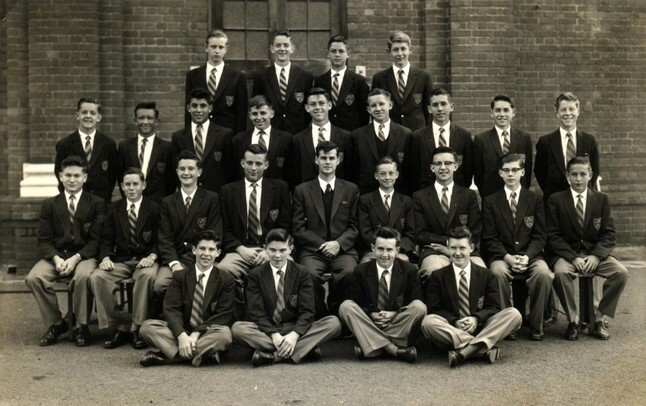 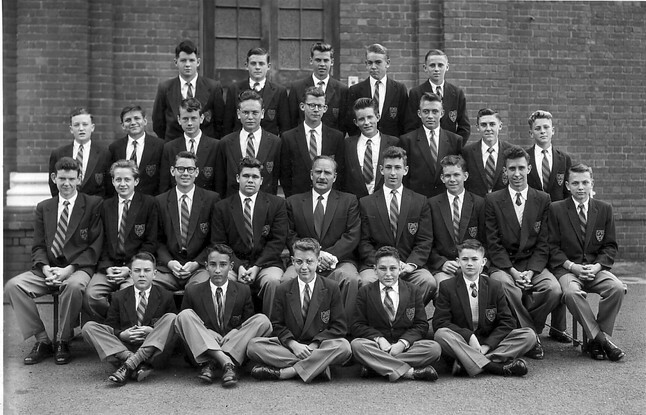 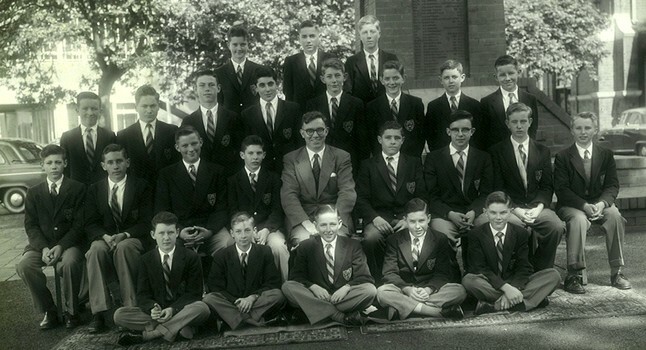 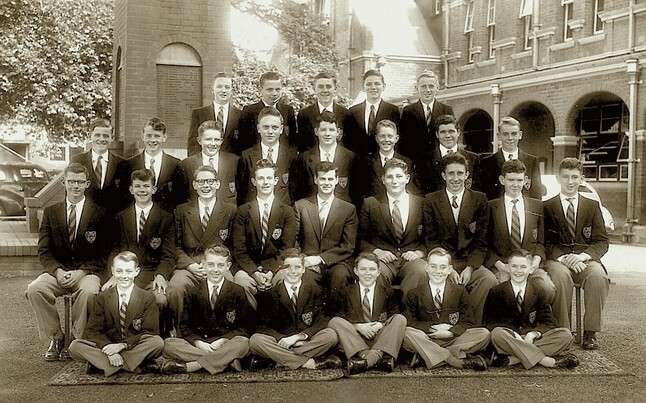 We've also added a bonus photo of the 1961 Prefects!